The plaintiff sued his former employer who fired him. He said it was because of age. His superior allegedly made a comment about transferring clients to younger bankers. Can the plaintiff win the case? He cannot. The case is Graves v. Deutsche Bank Securities, a summary order decided on December 4. In discrimination cases, the plaintiff has to make out a prima facie case. In plain English, that means he has to make an initial showing that he was fired because of his age. If he does so, then management has to articulate a neutral reason why the plaintiff was fired. In 99.68 percent of the cases, the employer is able to articulate such a reason, so the plaintiff then has to show that the reason is false and the real reason was age discrimination. 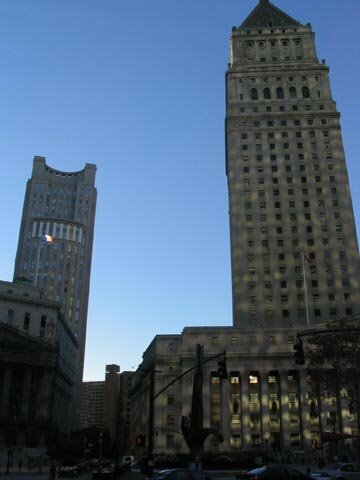 The Second Circuit (Kearse, Jacobs and Straub) says that "Deutsche Bank articulates legitimate, nondiscriminatory reasons for terminating Graves’s employment, including (1) a downward revenue trend and top-heaviness in Graves’s group; and (2) Graves’s low actual and projected revenue as compared to that of other managing directors." The ball is now in Graves' court. Before we go any further, you should know that straight pretext cases (what lawyers call McDonnell-Douglas cases) do not get far in the Second Circuit these days. Over the past few years, the Court of Appeals has reversed summary judgment in straight pretext cases (not involving retaliation or sexual harassment) on only a handful of occasions. But hope springs eternal, right? Maybe this one's a winner. It's not. Graves comes forward with an ageist comment to prove that he can win the case. The Second Circuit says that "Graves’s rebuttal is based largely on a single alleged remark by his superior about transferring clients to younger bankers." This is the kind of evidence that plaintiffs want. But the Court of Appeals says that "Graves was required to do more than demonstrate that an arguably discriminatory comment was made." The Court cites a case from 2001, Slattery v. Swiss Reinsurance, 248 F.3d 87 (2d Cir. 2001), that affirmed summary judgment despite statements expressing desire for a "younger workforce." Another case from that year, Abdu-Brisson v. Delta Air Lines, Inc., 239 F.3d 456 (2d Cir. 2001), that upheld summary judgment despite "numerous comments about the age of the Pan Am pilot force"). Why is the ageist comment not enough? "The record shows that: (1) the superior (who had hired Graves just a few years prior) was himself almost a decade older than Graves; (2) the so-called “younger” bankers were barely younger than Graves; and (3) Deutsche Bank chose to retain a managing director from the same group who was four years older than Graves." So the Court is weighing the evidence. There is some evidence of ageist bias. But there is more evidence that Graves was fired for a legitimate reason. Graves loses the case.